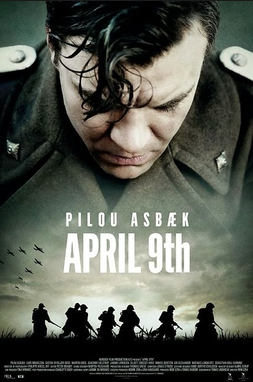 I feel always a bit unkind when I criticise a Holocaust movie based on a true story. Unfortunately though, basing a movie on a true story does not guarantee an interesting result as the German film Unter Bauern – Saviors in the Night, illustrates so well. 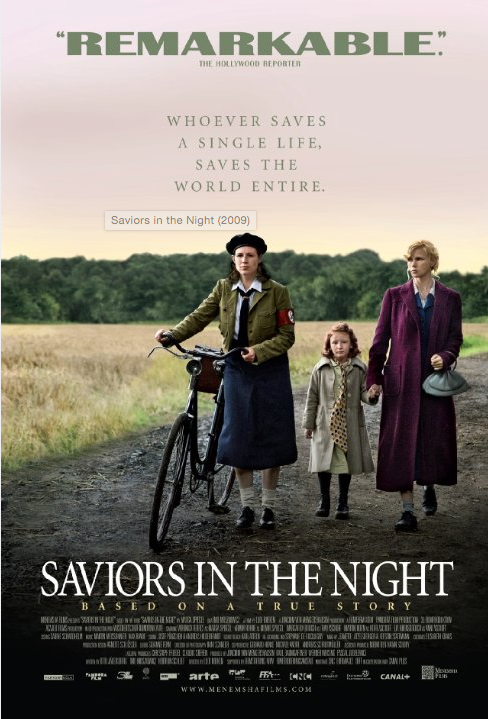 Saviors in the Night is based on the memoirs of Holocaust survivor Marga Spiegel and while her experience was certainly nerve-wracking, the movie is absolutely tension-free. The film opens with a bit of back story. We see Menne Spiegel fighting for his country in WWI. Twenty years later, that same country wants to exterminate him and his family because he is Jewish. Menne is a respected horse trader and when the day of his family’s deportation to a concentration camp comes closer, he contacts his former comrades and finds one who is willing to hide his wife and his daughter, while another one will give him shelter. Because Marga Spiegel and the kid are blond and don’t look Jewish, they are hidden in plain sight, while Menne, who’s looking more typical, has to hide in an attic where he goes almost crazy with boredom. From there the movie meanders from one tension-free scene to another. Whenever the tiniest conflict arrises, it’s immediately resolved. The biggest challenge these former city-dwellers seem to face is adapting to life in the country. Yes, there are a few Nazi’s in the village, but they are too obtuse to notice anything. The daughter of their saviours dates one of them and while she’s at first outraged that her parents are hiding Jews (she believes the Führer who says that the Jews are the downfall of Germany), it only takes one tale about an injustice against Marga and her daughter, to make her change attitude and convictions. I was surprised to see this film received praise because it’s so dull. Of course, it’s admirable that these farmers decided to risk their lives and hide Marga and her daughter. And, of course, it’s necessary to remind us that there were people who didn’t care about what the Führer told them and simply listened to their own heart and found the courage to help fellow humans. But unfortunately all those good intentions do not make for gripping viewing. 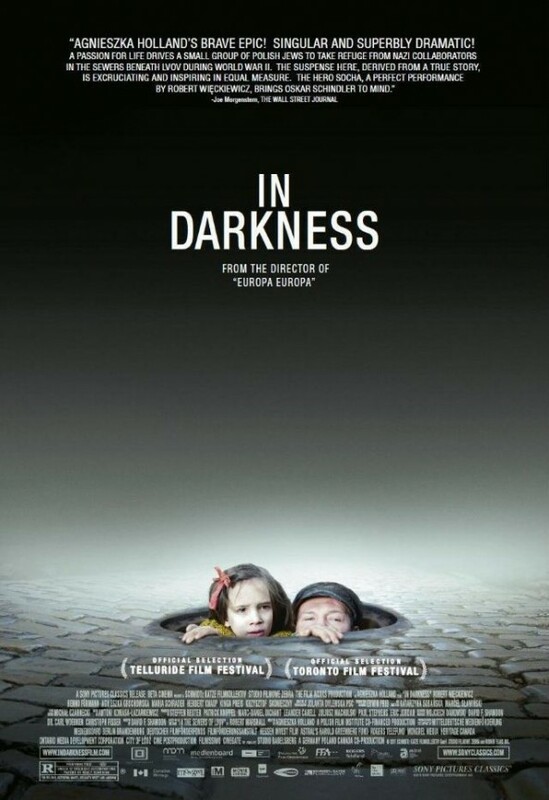 Unlike Agnieszka Holland’s fantastic movie In Darkness, which also tells the story of survivors, there are hardly any dramatic elements here. To be fair, I have to mention that there are a couple of quiet moments, in which Marga and the farmer’s wife engage in a tentative friendship, which are moving. It’s a movie you can watch, especially when you’re a fan of German actress Veronica Ferres, but you don’t have to. 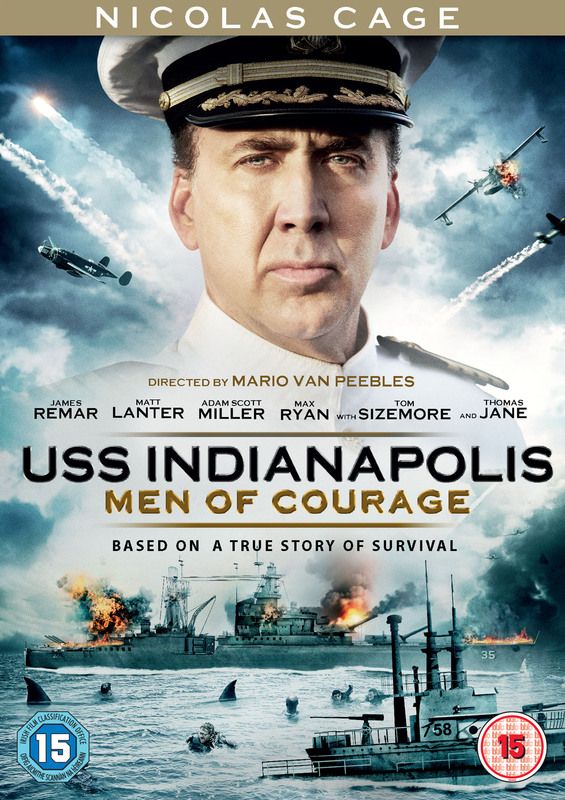 The trailer makes this movie look intense because it shows all the dramatic scenes, compressed into 1.5 minutes. More than one person I know felt that the Academy Award for best acting should have gone to Benedict Cumberbatch for his role as Alan Turing in The Imitation Game and not to Eddie Redmayne. But even without such praise I would have been keen on watching The Imitation Game as I think code breaking is such a fascinating topic, and, after having watched it, I’d like to visit Bletchley Park. The Imitation Game is hard to review. Movies based on true stories are a bit like classic novels. Many people know the story and you can’t spoil it for them, but those who don’t might get a little upset if you are too explicit. On the other hand you can hardly say anything meaningful without spoiling it. Quite the dilemma. The Imitation Game tells the story of Alan Turing, an eminent young mathematician, who was hired by Bletchley Park to help decoding the famous German Enigma machine, which was said to be unbreakable. Not only did it have an almost infinite possibility of codes but the machine was reprogrammed daily. Turing soon understood that humans wouldn’t be able to decipher the workings of such an advanced machine. Only another machine could do it. In order to get carte blanche and the necessary founding for his project, he needed approval from high command and the assistance of his fellow code breakers. Unfortunately, Turing was a difficult man. In his youth he had a best friend but later he was never capable of having real relationships and friendships. I was wondering at times if he wasn’t autistic. Judging from the movie, he certainly had some form of OCD. In any case, he wasn’t capable of empathy and took everything people said so literally it must have been a true burden to communicate with him. Still, he was a genius and as soon as he had people’s trust he was capable of extraordinary things. 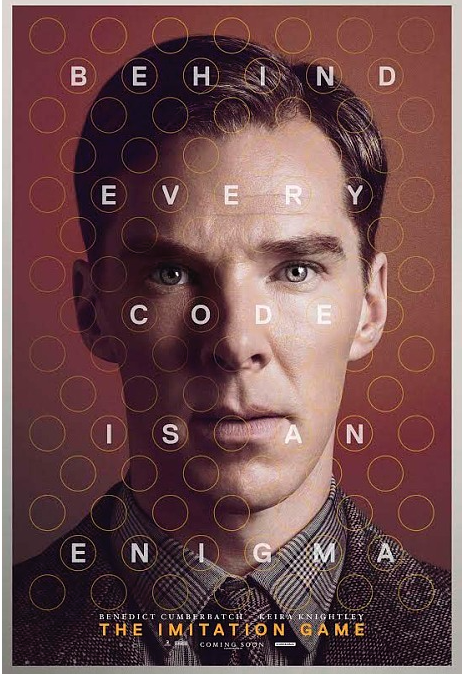 If Alan Turing had only been the man who broke Enigma, this would have been an exciting movie about a genius, but since the movie also focusses on his homosexuality, it was also extremely tragic. I knew, of course, that homosexuality was illegal, but I tend to forget how dire the consequences were when someone was found out. I must admit I ignored that Alan Turing was gay, and, so, the end really got to me. It’s hard to believe that the man who helped save millions of lives was forced to take hormones to “cure” his homosexuality and finally killed himself in 1954. This might be one of the saddest things I’ve ever heard. Not that I would have found it any less tragic if someone who was not famous would have been forced to take such heavy medication. Sixty years don’t even seem all that long ago. It’s hard to imagine things like that were legal. But then again, so was lobotomy and electroshock therapy, and many other dreadful things. Cumberbacth is a great actor and in this movie, he’s surpassed himself. He’s very convincing and subtle. It’s a role in which many actors would have been tempted to overact, but he doesn’t. Too bad Eddie Redmayne was nominated this year as well. Any other year, Cumberbatch would have won. I didn’t say anything about the pseudo-love story with Joan Clarke, played by Keira Knightley, although it’s an important role insofar as it shows that the society was just as hard on women as on gay men. They still were not considered capable of the same as men and not taken seriously. I wished they had chosen another actress. I thought she was rather dreadful in this film. I really liked The Imitation Game. The cinematography is beautiful. The pictures are very crisp, very defined. 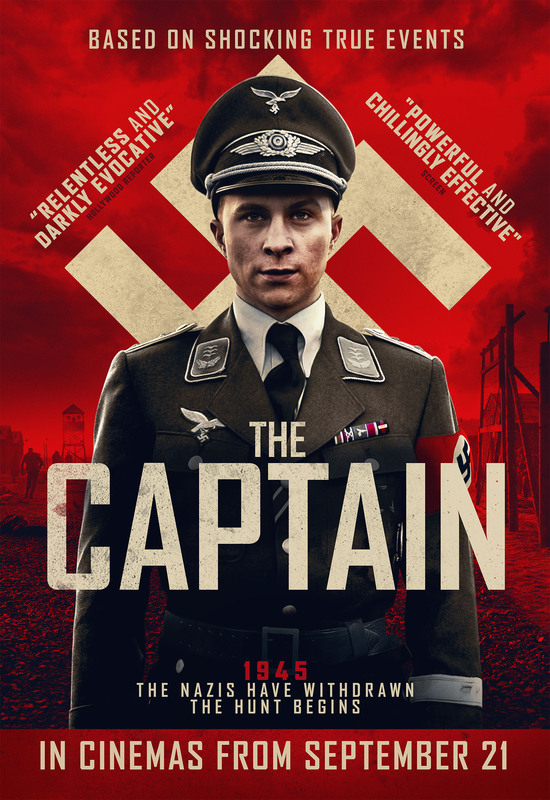 The acting is great and the story is amazing and tragic. Don’t miss it. 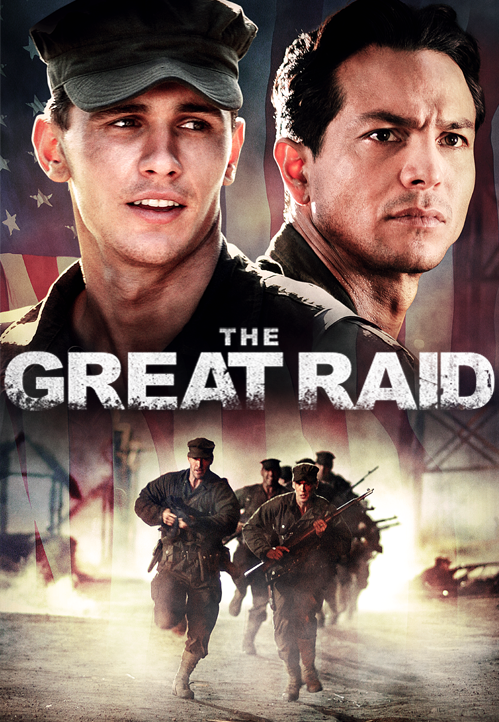 The Great Raid, starring James Franco, Benjamin Bratt, Joseph Fiennes and Connie Nielsen, tells the story of the raid at Cabanatuan, on the island of Luzon, Philippines, in January 1945. The story is based on a true story. The movie begins with original footage and a voice telling us what had happened before. In 1944 when the US closed in on Japanese-occupied Philippines, there were 500 prisoners of war held at a POW camp at Cabanatuan. They were some of the survivors of the notorious Bataan Death March, in 1942. The Japanese made 80,000 American and Filipino prisoners of war after the Battle of Bataan. Forcing them to move, caused the death of over 10,000 people. The men died of abuse or because they were shot when they tried to escape. Since the Japanese had the order to fight to the last and not leave any POWs behind, they killed many before the arrival of the US in 1944. The movie follows three different plot lines. One line focusses on the men of the 6th Rangers Battalion, assisted by Filipino guerilla, who were assigned to free the soldiers held captive at Cabanatuan, the second line tells the story of the prisoners around major Briggs, and the third follows the Filipino resistance headed by nurse Margaret Utinsky. The Filipino resistance’s main concern was to smuggle medicine to the men in the camp. Most of them had malaria or suffered from various injuries because they were beaten and tortured. I wasn’t familiar with the story and I think it was well worth telling. It was the biggest US rescue mission ever and took great courage and careful planning, both of which are illustrated in the movie. The camp scenes were not very original. They had a small-scale Bridge of the River Kwai feel but were, of course, not as good. I didn’t think Joseph Fiennes was the best choice for the major but that’s because I have a bit of a personal aversion. I find the way he plays often melodramatic. It certainly was in this movie. The resistance scenes were quite typical as well. What made the movie worthwhile in spite of a lack of originality were the actors who played the soldiers of the 6th Rangers and the combination of the three plot lines. There’s a love story between Margaret and Major Briggs but it’s not corny. It adds another dimension and since it’s supposedly a true story it’s rather tragic. I wasn’t too keen on the music. It sounded very 40s and was used like in the 40s, meaning—never ending background music. At first I thought the movie was a remake, but I don’t think it was. It’s a watchable movie but it’s not great. If it had been cut and condensed it would have been better. Nonetheless, thanks to the long intro and because it’s a true story, I found it interesting. I’m surprised that as many as 500 survived the three years of captivity under these conditions. One last word: if you’re looking for a movie that paints a positive or balanced picture of the Japanese, this isn’t one of them. All the Japanese we see in this movie are cruel and violent.